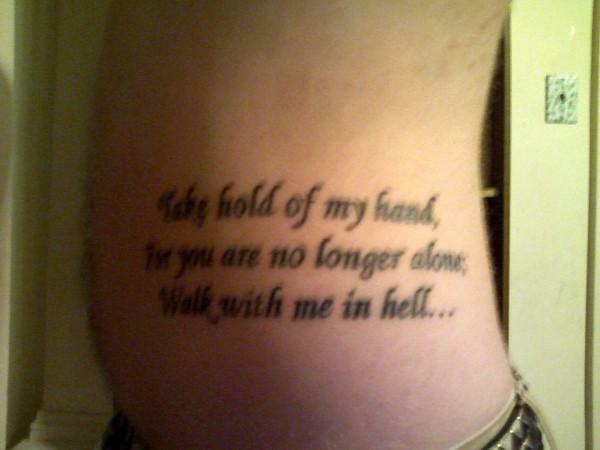 So, I didn't see it in anywhere yet, so I wanted to see if anyone was willing to share any tattoos they got. I will post mine but, this is what I plan on getting when I get my check today. This is going on my right forearm in memory of my mom. The text at the top is Gaelic for "With Love Forever"
No recent pics but had the solid black redone since this was taken. Nice! I like! You got anything else besides that or have you just been a little short of cash to get more? I am having my boys name Harley and once i can get it translated i want " My son, My Life" in italics underneath it in smaller font with his date of birth. got to be so carefull what I get as i am customer facing in amanagement job they can insist i cover any tattos off but to hell with it if i got to wear longsleeves its worth it as i and proud to bits of my boy. should be getting that done in two months for my birthday. I do want more also but as its pretty much forever I am very picky. I'll never get a tattoo since there's nothing I can see myself liking forever. Garr Talon wrote: I'll never get a tattoo since there's nothing I can see myself liking forever. It takes time to find something you really like. You should never jump head-first into getting one. 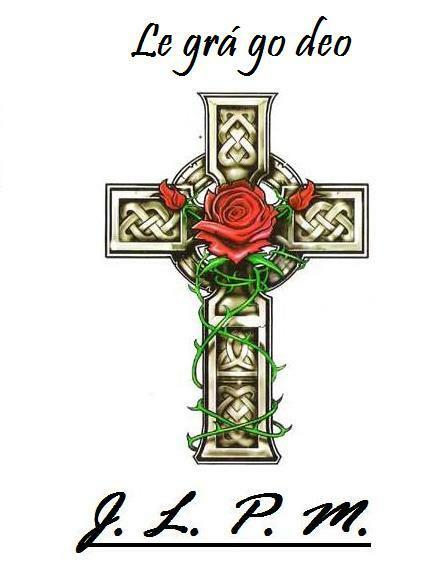 Like, I always wanted a cross tatt done for my mom and always said I'd do it after she passed. Well, I didn't expect it to be so soon and now I'm trying to get an idea of something I don't mind showing off or having for the rest of my life. I'm sure, one day you'll find one you really like. If not, no biggie! Some are meant to have ink and some aren't. Totally agree with you there. Ink is not something that should be rushed into. My first one is ok but I jumped at it. I wanted something with an illuminati type image as I really dont believe in god or anything like that and they were the people i think are the most against religion etc. I should of waited and got something a little different but i went for the all seing eye pyramid with angel wings but flames rising from it kinda. as i said next I wouldnt mind the illuminati anagram on one arm and my boys tat on the other.